2009 Azimut 62 Evolution Flybridge-Twin C-18 CATs 1015hp -Azimut's Super Star! 3 Staterooms, 3 heads , Original owner vessel. Original Factory Options: Barbeque on flybridge, Black mesh coversfor salon windows, Bow Thruster, Stern Thruster, CD Player on Flybridge w Remote, Set of Cooking Pans, Crew Cabin, Flybridge table, Foredeck sunpads, Icemaker in salon, Refrigerator on flybridge, Refrigerator at galley 50 gal, Teakon swim platform, Teakonside decks, Trim tab indicator on flybridge, Wooden floor in galley, Wooden floor inguest and master heads, Dimmer switches for salon and master cabin, Side Boarding gates,Central vacuum system, Cockpit table and chairs, Deluxe curtains at main entrance, Dual Racor fuel filters, Add'l searchlight control, Hydraulic Gangway with Remote, Glenndinning Cablemaster,High/Low TV for salon, Mosquito Nets for portholes, Raymarine ST60, Seperate Washerand Dryer-stacked units, Wooden Floor in salon, Tender Crane on Flybridge,CAT Messenger System, Custom 68 Lower Helm Chair, All head countertopsin Marble-Rose, Granite counter top in galley, Add'l VHF radio Installed Locally: TV Package, DSS SAT TV with Dummy Dome and 4 receivers, Bose Home Theatre in salon, Bimini Top, Sunbrella Custom exterior covers, Marquipt side Boarding Stairs. Recent Updates: 2016 all electronics upgraded to Garmin including HD radar (35K), New A/C unit in salon, New Galley refrigerator, 1000 hr CAT engine service completed, All new hoses and clamps, engineroom has been painted, Halon system just charged, New LCD TVs throughout, New Bilge Pumps, Eisen glass updated, Custom aft cockpit flybridge support poles in stainless steel, Thermal imaging camera, Satellite phone, Updated tender andCAT Custom Display added. Easy to see by appointment. call for an appointment and showing today. This is a brokerage boat so no trades please. 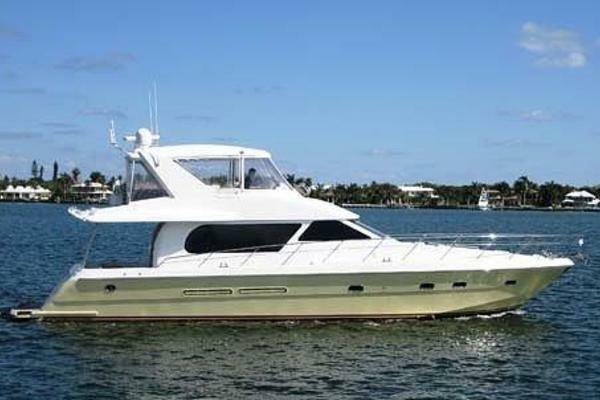 United Yacht Sales New Jersey would love to guide you through a personal showing of this 62' Azimut 62 Flybridge 2009. 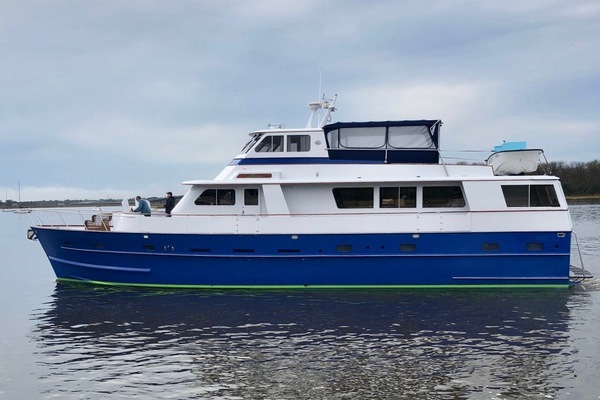 This yacht for sale is located in Huntington, NY, New York and priced at $1,150,000. For a showing please contact us by filling out the form on this page and we will get back to you shortly!